Why should a business conduct competitive analysis? 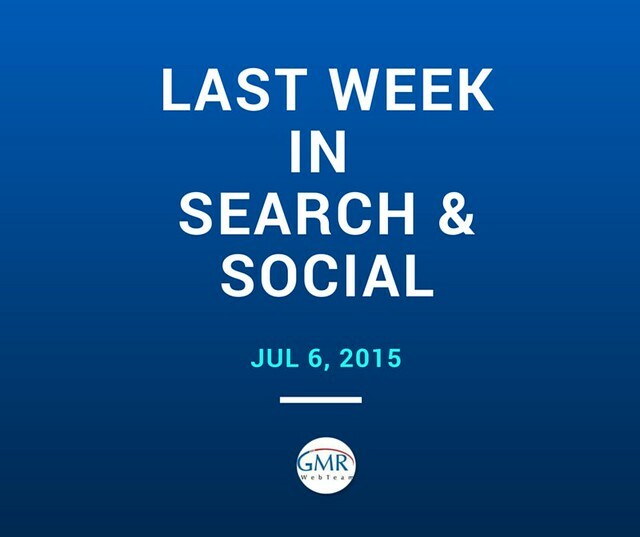 Welcome to the third edition of the weekly search and social roundup. Every week, we bring up a carousel of all the major headlines that happened but you might have missed. The number of people actively using social media has exceeded two billion, according to the latest research conducted by Facebook. It's not just posting fun photographs and communicating with school friends that makes people want to log in but also, the fact that social networks are now a powerful tool for business. From getting likes on business-related posts to gaining followers through consistent interaction, it's easy to connect with customers on a more personal level through networks like Facebook, Twitter and Instagram. Small businesses are quickly realizing the power of social media and are incorporating it into their offline marketing activities. With a good social media plan, you can drive traffic to your booth and make prospective customers eager to do business with you. Social media can add leverage to your small businesses to reach prospective clients and attract them to your trade booths. Below are some social media marketing tips you can use to boost brand awareness, and make your next trade show a success. When you’re designing a website for your company or for personal use, chances are you’re spending a great deal of your time thinking about a creative eye-catching design that users will like. However, that creative design, even though you made it happen, may not remain solely yours forever. That’s because web design theft has become a big problem for many businesses and individuals with creative sites. After all that hard work you put in on your site to make it unique, to make it stand out from the rest of the pack, you don’t want somebody stealing it for their own. Optimizing Your Social Media for Mobile: It Is High Time! We are becoming an increasingly on the go type of society when it comes to our Internet viewing. More and more content is being shared via smartphones, tablets, and other mobile devices--this includes videos on YouTube, pictures from Instagram, and interesting articles on Facebook pages. So, are your own social media efforts optimized for mobile?